Discovery services are intended to be freely available for unauthenticated users to search their indexes, which EBSCO Discovery Service refers to as “guest access." 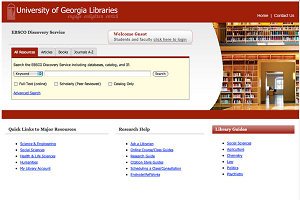 Should guest access be enabled by a library, EDS and other discovery services serve as an open resource and in most cases do not require users to authenticate before running searches until the time comes to retrieve a resource (e.g., a book, journal article, etc.). While other services rely 100% on link resolvers for access to full text, EBSCO Discovery Service is the only discovery service that displays PDF full text (when available) directly in the result list. When clicking on the full-text PDF icon, guest access users would be prompted to log in, and would remain authenticated for the remainder of their session. 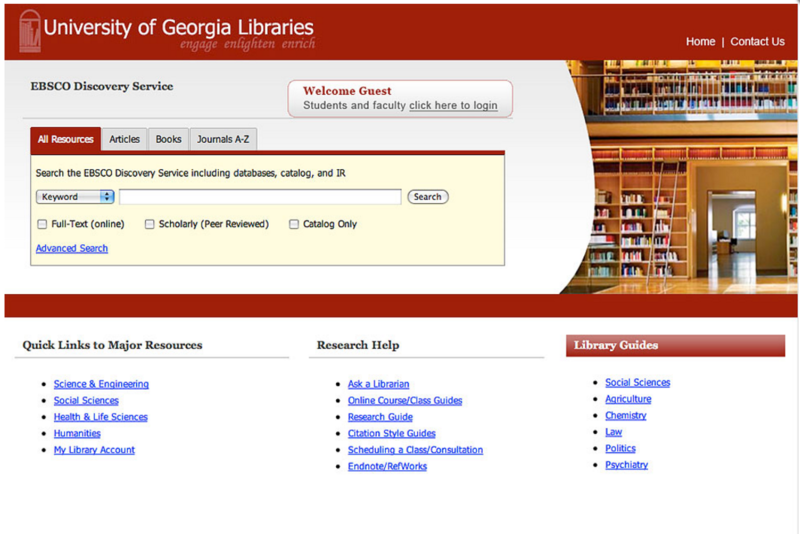 With other services, when attempting to access full text, the user would be met with a link resolver menu, and if full text was available, they would be asked to authenticate at some point further along in their experience—and in some cases will need to log in multiple times for different resource providers. In the end, EDS offers a cleaner, simpler process for requesting authentication to access full text, with far fewer clicks than other discovery services. With the Inclusion of Subject Indexes, EBSCO Discovery Service allows information from important subject indexes that don’t otherwise participate in discovery services to be infused into the EDS result list (e.g., full records from licensed databases such as CINAHL, Historical Abstracts, Humanities International Index, Art Abstracts, etc.—subscription on EBSCOhost required). Because these full records can’t be made freely available on the web (much like full text), limited detail from these resources is displayed in a guest access record, and authentication is required to see the complete detail of the records. This option is not available through other discovery services as they do not include full records from these important subject index resources.